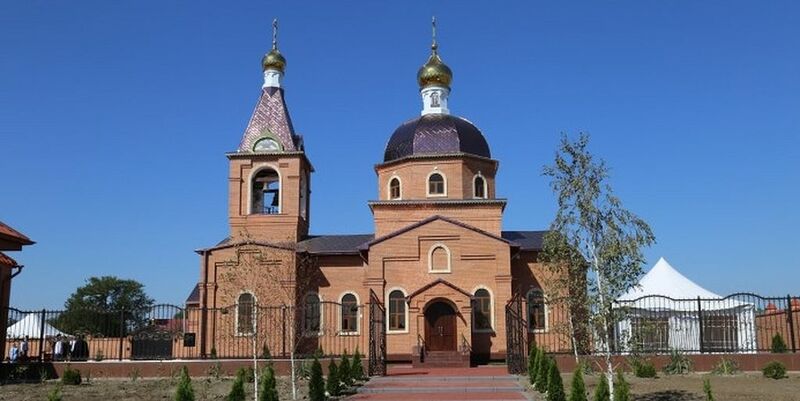 Chechnya’s first Orthodox church complex, including in addition to the church a parish school, a refectory, and a rectory for the priest and his family was inaugurated on Saturday in the Cossack village of Shelkovskaya in the northeast of the Russian republic. The new Church of the Great Marty St. Barbara was built on the site where a church of the same name had stood until it was destroyed by the soviets in 1937. The village is also celebrating its 300th anniversary this year, according to the site of the Makhachkala Diocese of the Russian Orthodox Church. The opening ceremony was attended by His Eminence Archbishop Varlaam of Makhachkala and Grozny and Chechen head Ramzan Kadryov, among other public officials. Thanks to the zealous work and donations of the local faithful, the church was built in just six months.